Clean Carfax 1-Owner! Fresh trade in! Inspected and ready for sale! HUGE INVENTORY!! Shop www.mullerswoodfieldacura.com for hundreds of pre-owned vehicles. Our inventory changes daily, there's a good chance we have what you're looking for. HUGE TENT EVENT GOING ON NOW! We get the nicest trade-ins in town!! Call our professional sales team directly @ (847) 519-9550 or stop in and see us for availability. Muller's Woodfield Acura is your #1 location for Pre-Owned Acura's. **Call us at 847-519-9550** Muller's Woodfield Acura is the Midwest's Largest Certified Acura Dealer! HUGE INVENTORY!! Shop www.mullerswoodfieldacura.com for hundreds of pre-owned vehicles. Our inventory changes daily, there's a good chance we have what you're looking for. HUGE TENT EVENT GOING ON NOW! We get the nicest trade-ins in town!! Call our professional sales team directly @ (847) 519-9550 or stop in and see us for availability. Muller's Woodfield Acura is your #1 location for Pre-Owned Acura's. Silver 2004 Honda Odyssey EX-L FWD 5-Speed Automatic with Overdrive 3.5L V6 SMPI SOHCRecent Arrival! 2006 Honda Odyssey EX-L FWD 5-Speed Automatic with Overdrive 3.5L V6 SOHC i-VTEC 24VRecent Arrival! 20/28 City/Highway MPGAwards:* 2006 KBB.com Best Resale Value AwardsFor more information, visit www.kbb.com. Kelley Blue Book is a registered trademark of Kelley Blue Book Co., Inc. This is a 2008 Town & Country Touring. CARFAX 1 owner and buyback guarantee! . Ready for anything!!! . In these economic times, a amazing vehicle at a amazing price like this Town & Country is more important AND welcome than ever* . . Call us at (847) 831-4100 for more information on this vehicle or to Schedule an Appointment for your Test Drive. **Call us at 847-519-9550** Clean Carfax 1-Owner!! Navigation, Leather, Sunroof, Loaded!! Priced to sell!! Muller's Woodfield Acura is the Midwest's Largest Certified Acura Dealer! HUGE INVENTORY!! 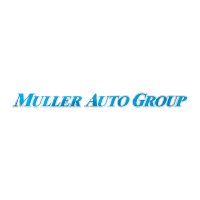 Shop www.mullerswoodfieldacura.com for hundreds of pre-owned vehicles. Our inventory changes daily, there's a good chance we have what you're looking for. HUGE TENT EVENT GOING ON NOW! We get the nicest trade-ins in town!! Call our professional sales team directly @ (847) 519-9550 or stop in and see us for availability. Muller's Woodfield Acura is your #1 location for Pre-Owned Acura's. 847-519-9550 Clean Carfax 1-Owner! Navigation! Fresh trade in! Inspected!! This is a 2011 CR-V SE AWD. CARFAX 1 owner and buyback guarantee. . Look!! Look!! Look!! . There is no better time than now to buy this rugged Vehicle... . Gassss saverrrr!!! 27 MPG Hwy!!! . Call us at (847) 831-4100 for more information on this vehicle or to Schedule an Appointment for your Test Drive. This is a 2008 GTI 4-Door. Includes a CARFAX buyback guarantee* . All Around hero!!! . Volkswagen vehicles are known for being some of the most respectable cars on the road! . . Call us at (847) 831-4100 for more information on this vehicle or to Schedule an Appointment for your Test Drive. This is a 2012 Corolla LE. CARFAX 1 owner and buyback guarantee. . A winning value!! . Climb into this impeccable Corolla and experience the kind of driving excitment that keeps you smiling all the way home.. . Gets Great Gas Mileage: 34 MPG Hwy* . Call us at (847) 831-4100 for more information on this vehicle or to Schedule an Appointment for your Test Drive. This is a 2010 Town & Country LX. Includes a CARFAX buyback guarantee!!! . ELECTRIFYING! . Yes, I am as good as I look!!! . . Call us at (847) 831-4100 for more information on this vehicle or to Schedule an Appointment for your Test Drive. This is a 2007 Odyssey EX-L. Includes a CARFAX buyback guarantee* . Ready for anything!!! . Don't bother thirsting for any other MiniVan!! Move quickly.. . . Call us at (847) 831-4100 for more information on this vehicle or to Schedule an Appointment for your Test Drive. This is a 2008 Odyssey EX-L. CARFAX 1 owner and buyback guarantee* . Oh yeah!!! . No trip is too far, nor will it be too boring... . . Call us at (847) 831-4100 for more information on this vehicle or to Schedule an Appointment for your Test Drive. This is a 2012 Passat 2.5L S w/Appearance/PZEV. Includes a CARFAX buyback guarantee!!! . Runs mint!!! . You won't find a better Sedan than this outstanding Volkswagen. Climb into this ample 2012 Volkswagen Passat 2.5L S w/Appearance/PZEV, and when you roll down the street, people will definitely take notice* . This is the vehicle for you if you're looking to get great gas mileage on your way to work.. This Sedan has less than 65k miles! . Call us at (847) 831-4100 for more information on this vehicle or to Schedule an Appointment for your Test Drive. Pre-owned vehicle pricing includes all offers and incentives. Tax, Title and Tags not included in vehicle prices shown and must be paid by the purchaser. While great effort is made to ensure the accuracy of the information on this site, errors do occur so please verify information with a customer service rep. This is easily done by visiting our contact us page or by visiting us at the dealership.